If you’re looking to have batt insulation installed in your home in Oklahoma City, Oklahoma, turn to the professionals at 31-W Insulation. We have more than 40 years of experience in the industry and are the experts you can rely on when you’re in need of better insulation. 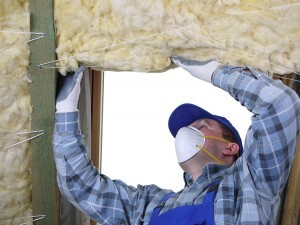 We can help you assess your home’s current insulation and provide recommendations on where adding more would be beneficial. And, when you choose our efficient installation services, you’ll quickly be on your way to enjoying the many benefits of a fully insulated home. More comfortable indoor environment – Insulation keeps warm air in during the winter and cool air in during the summer for a comfortable and consistent indoor temperature. It also acts as a sound barrier so that less noise from outside penetrates the peaceful interior of your home. Less strain on the HVAC system – When your HVAC system doesn’t have to work as hard to heat and cool your Oklahoma City, OK, home, you may start to see savings in your monthly energy bills. Protection for the house – Batt insulation made of fiberglass is naturally fire and water resistant, helping to prevent potential damage to the house itself. If you’d like more information about the benefits of batt insulation or the services we can provide, contact 31-W Insulation today. We are proud to serve homeowners in Oklahoma City, OK, and the nearby communities.